We treat infants as the most precious thing on earth, and as much as possible, protect them from even the slightest harm. This is why seeing a baby’s scalp develop crusty, oily, or scaly patches can be really scary and disconcerting to a parent. This condition is known among non-medical folk as the cradle cap, while it’s called seborrheic dermatitis by those in the medical field. Although it can be alarming, it’s actually not all that serious and it can, in fact, be prevented. We have gathered all the important information you may want to know about the skin condition, so read on to find out how to prevent cradle cap and how to effectively treat it. Seborrheic dermatitis is a common skin condition, but it doesn’t only occur among adults, as infants can also develop it during the first 3 months of their life. It’s commonly known as “cradle cap” because it is usually found on the scalp of a newborn. At times, cradle cap can be mistaken for infantile eczema because of the similarities in the symptoms of the two. 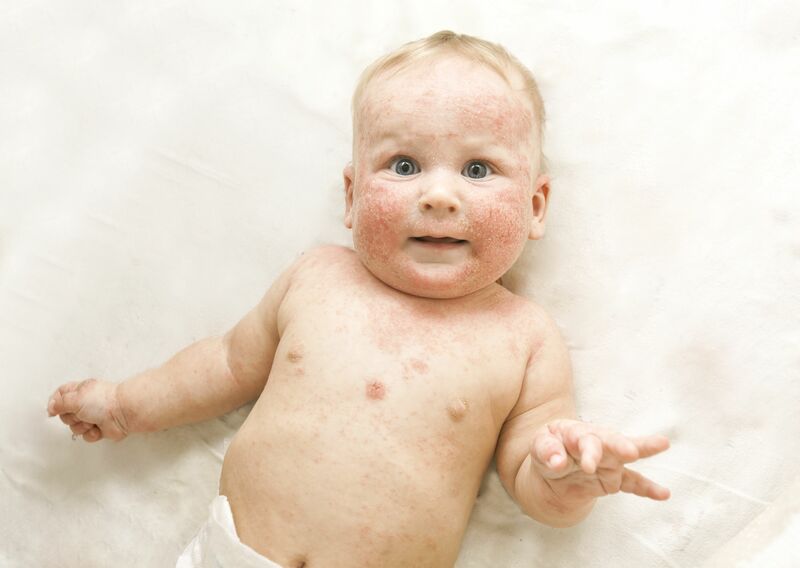 However, infantile eczema causes itching while infantile seborrheic dermatitis does not. The cause of cradle cap is still unidentified. According to recent studies, allergies, bacterial infection, and poor hygiene have been ruled out as causes of the skin condition. However, medical experts are looking into the possibility of hormones from the mother and fungus as contributing factors. It’s no secret among acne sufferers that hormones can cause excessive production of oil on the skin, and this oil can contribute to skin conditions that are not limited to acne. On the other hand, a fungus called malassezia can also be a cause. This grows with sebum, so it can also be related to the first theory. Although not yet proven, the fact that antifungal treatments, such as ketoconazole, are effective in treating cradle cap supports this theory. Massage your baby’s head gently every day—Use your fingers to gently massage your baby’s head every day, or use a baby brush with very soft bristles. This will help increase blood circulation and decrease the chances for development of seborrheic dermatitis. Make sure that the baby’s scalp is completely clean after bath. Gently run your hand over your baby’s head to make sure that there isn’t any soap residue on the scalp. Leftover soap can cause dryness and may contribute to cradle cap and other skin conditions. While cradle cap usually clears up on its own, it may bother you as a worried parent. If your baby develops cradle cap, here are a few tips on how to treat it. If you don’t see any sign of improvement within a couple of days of medication, consult your doctor. Now that you know how to prevent cradle cap in simple ways, your baby now has a decreased chance of developing this skin condition. However, if your baby somehow still develops seborrheic dermatitis, remember that it is neither harmful or bothersome to your child, and it should go away in a short time, with or without treatment. As always, it’s best to consult your doctor or dermatologist at the first sign of inflammation.